You may weep if you read this heartwarming message Frasha penned down for his wife. 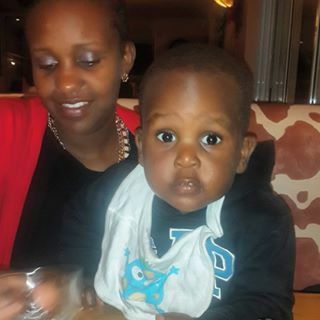 Popularly known rapper Frasha P-unit decided to prove the reality in the saying after he took to social media to appreciate his wife and mother of his children in a fascinating way. The rapper posted a small heartfelt message thanking his wife for her support for the years they have been together. Below is the post which the father of three,Frasha posted. Good morning would like to appreciate this iron lady for holding me down over all those years @megmbogo “.